Once you are done collecting data on your mobile device, you may want to edit the records on the web. In addition to editing records collected on a mobile device, you can also create records completely from the web. Return to the Fulcrum dashboard. From the Fulcrum dashboard, click on the ‘view data’ icon. This brings us to the records view. At the top of the screen you can switch the record view to change the record visualization, the three view options are map view, table view, or split view. For locating records it can sometimes be easier to use the split view. Switch to the split view. There are a few ways to locate the record that you wish to edit. 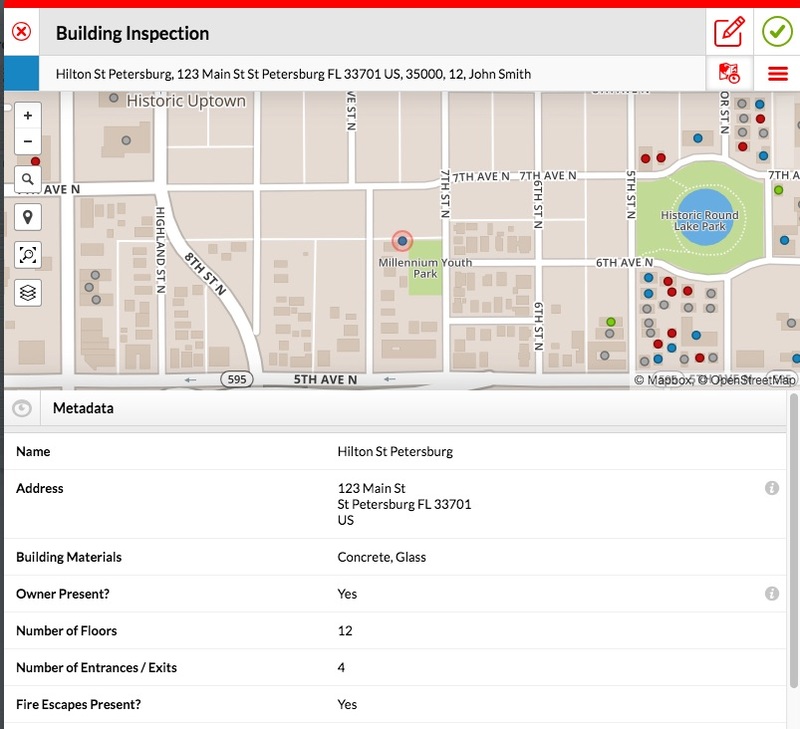 You can use the search & filter options or locate the record directly on the map or table. 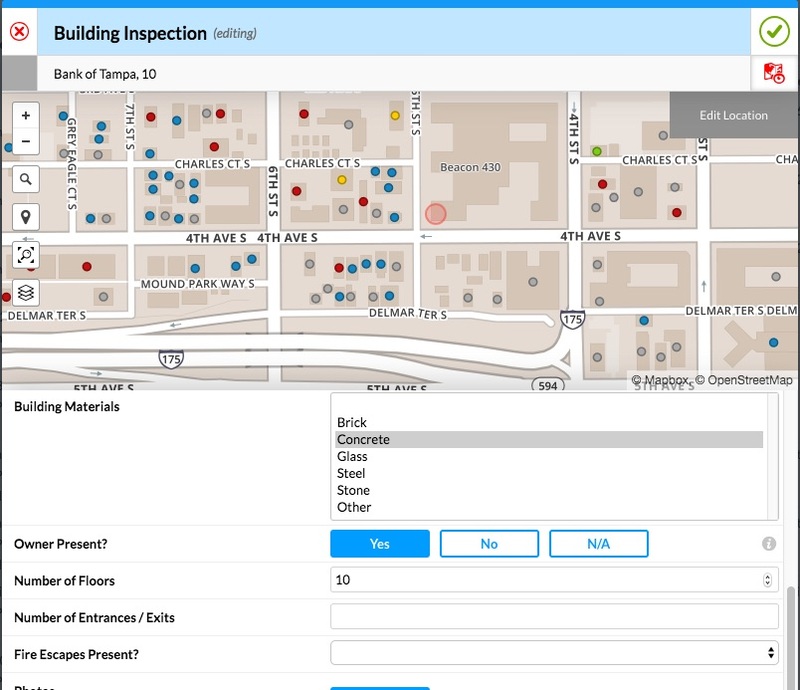 The table will filter records that are visible on the map. Once the record is located either double click the record in the table or single click the record on the map. Additionally, you can view and share a record by selecting the open option from the additional options (white plus with blue box) drop-down menu. From the record view page, you can quickly edit a record by clicking on the edit button found in the menu bar at the top of the page. 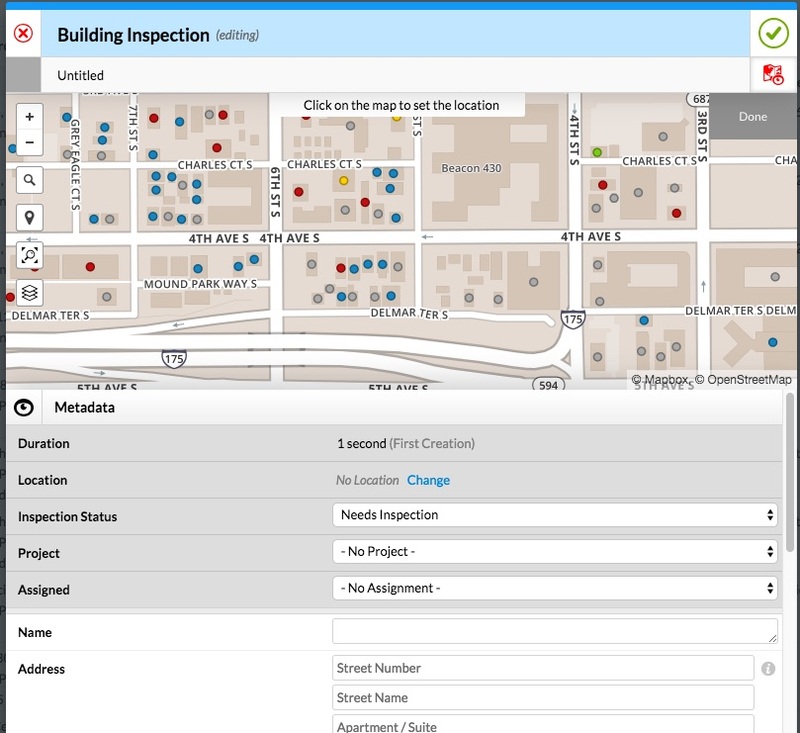 From there, you can edit any field, add additional photos, and even change the location of the data point. Click edit icon to the left of the green check mark. Repeat these steps to edit as many records as necessary. In addition to editing records from this page, you can also create new records. Start by Clicking the ‘+’ in the top right part of the records view to add a new record. First, you will want to set a location for the record. Click the map to set the location for the record. Fill out the attributes just as you would from the mobile device. You can even upload a picture from your computer. 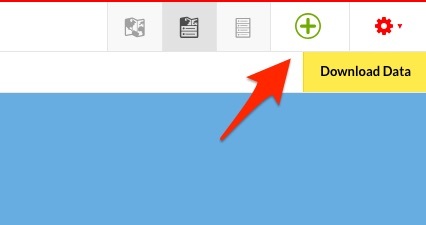 When finished, click the green check mark in the upper-right to save the record.